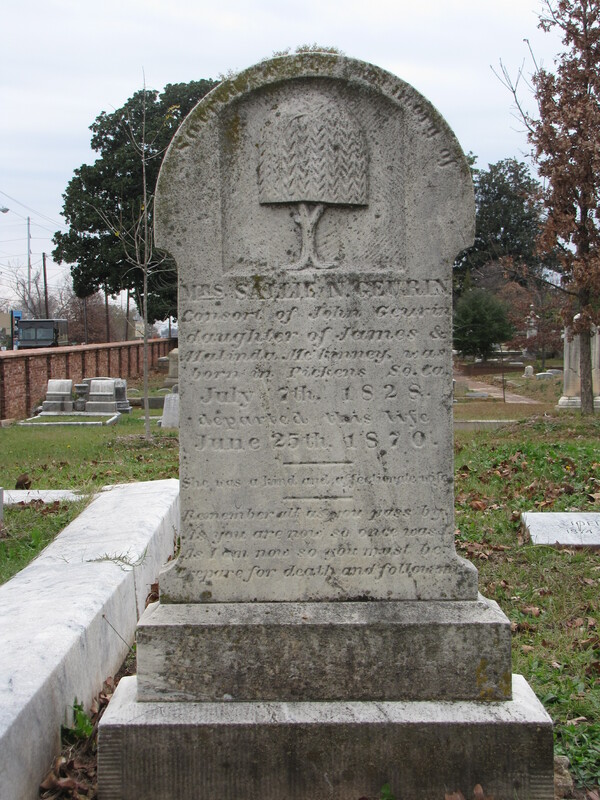 During the last trip I made to Atlanta, I was able to visit the historic Oakland Cemetery. When I spotted the tombstone I snapped this photo. It caught my eye for two reasons. First of all, it contains one of my favorite epitaphs and secondly I was impressed with the stylized image of the tree. The tree is either a willow tree, a traditional symbol of sorrow and grief, or the tree of life, which represents the three domains of the universe–the heavens, the earth, and the underworld. Remember all as you pass by As you are now so once was I As I am now so you must be Prepare for death and follow me.